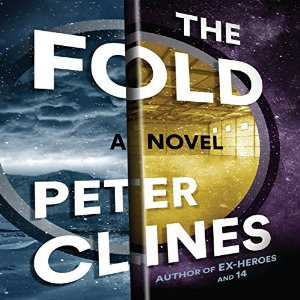 Nothing says "get swept up in a completely awesome and outrageous (and oftentimes hilarious) sci-fi story" like when you start any Peter Clines' novel, and The Fold is no different. I spent every single second I could listening to this book and within a day and a half over one weekend, I was finished. Mike is just a regular high school teacher. Please keep it that way. Don't get into his life and rummage around in it and then get him wrapped up in some sort of drama he wants no part of. Just don't. He likes things the way they are, and that's just how it is. When an old buddy of Mike's pulls him into a DARPA secret time travel government project called The Albuquerque Door whose team insists that it's safe to travel through it, Mike's true and intense intelligence finally comes out, whether he wants it to or not. After all, when you're talking about folding time and space so that you can travel hundreds of feet in an instant, how safe can it really be? With unending energy on each page, The Fold has become one of Peter Clines' best efforts of science fiction, time travel, alternate universes and more. This is an absolute ride of fun, and I have yet to be disappointed by any of his work. Peter Clines, one of my favorite authors, no doubt about it. And oh by the way, Ray Porter was the narrator. We all know he's awesome because he also narrated 14 (also a Peter Clines' novel), and Haruki Murakami's What I Talk About When I Talk About Running. Click here to listen to a sample from The Fold. FTC Disclosure: I downloaded this book through my Audible.com membership. 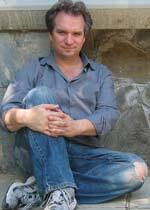 Peter Clines is the author of numerous short stories, Ex-Heroes, Ex-Patriots, –14–, The Eerie Adventures of the Lycanthrope Robinson Crusoe. For a more perfect bio to read, click here. 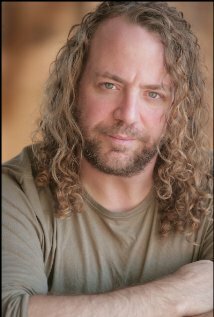 Ray Porter is an actor and casting director, known for Almost Famous (2000), Argo (2012) and The Runaways (2010). I read this one and absolutely loved it. I definitely want to listen to it via audio because I have heard that the audio is just outstanding! It attracts me just by looking at the poster. I'll enjoy it soon.